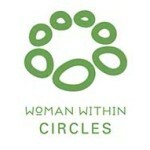 There are new Woman Within circles starting all over the Western USA and new woman searching to find a circle to join. Is your existing Circle looking for new members? Does your Circle want to be on a mailing list and receive tips to help your Circle thrive? Is your existing Circle facing challenges and need support from a Circle Mentor who can help your Circle go to a deeper level of connection and/or work through issues that are challenging the life of the Circle. Please fill out this form to list your Circle and/or request support for an existing Circle through mentoring. How often do you meet? What Day and Time?